Q. How do you pastor the 99 while you are busy chasing the 1? For all the conflict and confusion in churches today, it is easy to forget about the other people in the church. You know, the ones who faithfully attend, give, and serve without complaint or issue. They are quietly growing as disciples, yet they are often overlooked in times of trouble, tension, or apathy. While Jesus does spend a lot of emphasis on the restoration of the renegade, He never teaches us to abandon those we are discipling and instead spend 100% of our time as conflict resolution specialists. Let me offer some caution and hope to those pastors and church leaders who find themselves pouring all their energy and passion into those creating division in their churches as we together learn how to put down the fire extinguisher and pick up the Bible once again. First: No one is an expert (Except Jesus). For all the books and conferences instructing leaders on how to deal with every issue imaginable, the unimaginable manages to emerge from the least expected place. Seek God in prayer and Bible study, rely on the Godly council of other trusted elders or pastors, and quit letting the situation control every waking moment of your thought process. You cannot anticipate every action of others, but you can prepare your reaction. Will your first response be anger or defiance, or will you calmly return to scripture and Truth? You don’t have to be the expert because you already have One on your team. Division damages churches and undermines the work that they have been called out to do for the Kingdom of God. Many of the faithful members will suffer from collateral damage if situations are not dealt with in a timely and Biblical manner. While church discipline is often [very] hard, it prevents a multitude of future problems. The number one factor I think of in conflict resolution is how my response will affect God’s reputation. Too many people walk away from God because of our stupid, human mistakes. 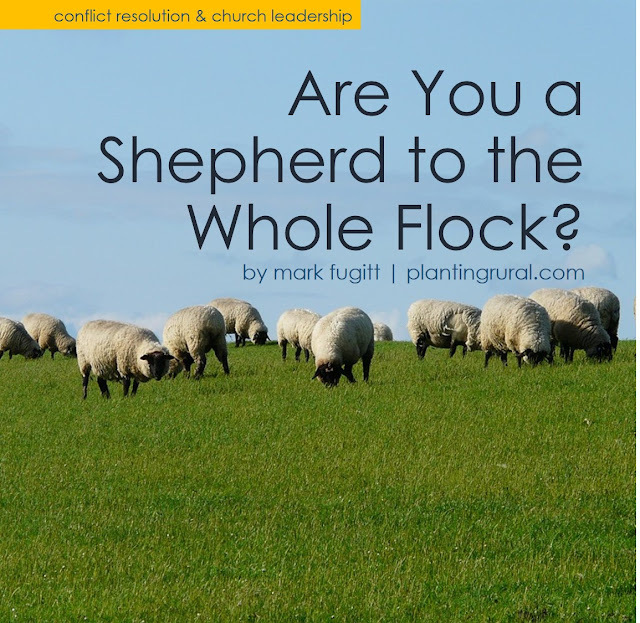 Jesus gave everything to save His flock – He expects nothing less from his under-shepherds. Third: Keep Redemption on the Horizon. In the Parable of the Lost Sheep, the Good Shepherd goes in search of the one that is missing for the purpose of restoration. Even those who intentionally cause strife in a church have the possibility of being restored through the work of the Holy Spirit. Having an attitude that anticipates redemption is healthy for the rest of the church leaders and members to see as well. The last thing they need to think of you as is the ruthless leader that tosses adversaries aside without hope. (This would be a good point to preach a sermon about God loving us even though we are a terrible mess all the time #ungratefulservant) This restoration may possibly take place in another church or even years in the future, but we should never leave someone with the impression that either we or God are “done” with them. That is never ours to decide. Quit trying to burn God’s bridges for Him. Fourth: The High Road is the ONLY Road. The pastor knows all the deepest darkest secrets of so many people, yet when those same people spread lies about their leader, they cannot respond in kind. This is easy to type, but hard to do. It is in these moments that the follower of Jesus must find comfort in Him as the way, the truth, and the life. Truth will win in the end - whether God’s ultimate justice or simply in your faithful passion for the Gospel being evident in the community. For all the negative things said about pastors by former members, I have noticed that most are loved and respected by their communities. Just like Jesus, God’s workers will not always be accepted by those they came to serve. We do not do what we do because it is easy, but because it is what we are called and compelled to do. The hard times are when the church especially needs a caring pastor. 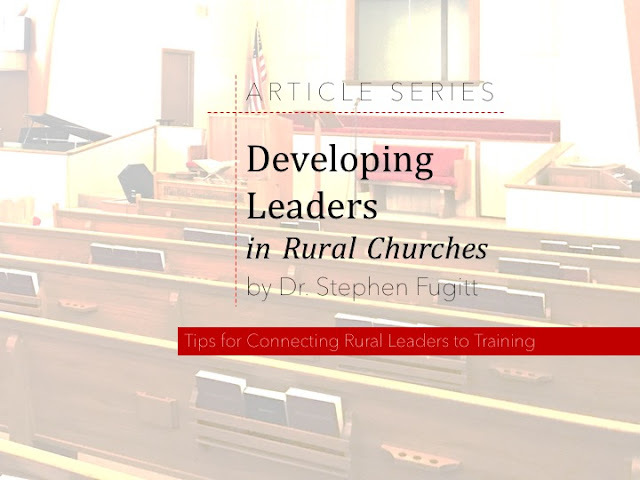 It is very possible for a church leader to find that they are spending almost all of their ministry efforts on one or two people in a given week. Obviously, major life events or moments of crisis will necessitate this on occasion. However, if you find that your efforts continuously are centered around dealing with the “weekly issue” of a couple of parishioners, you need to prayerfully seek the source of the real problem. This is not an excuse to be insensitive or rude, but simply to remind us all that we are pastors and leaders of the whole church, not just those who seek us out on Monday morning.